We offer a comprehensive range of pharmaceutical injectables, which is known in domestic and overseas markets for its high efficacy and instant healing effect. These pharmaceutical injectables are available in both liquid and powder form as antibiotics, anti-malerials, anti-ulcers, anesthetics, pain killers, multivitamins and many more. 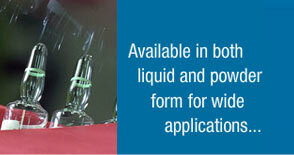 Free from any type of impurity, our injectables are recommended by various doctors and physicians across the globe. 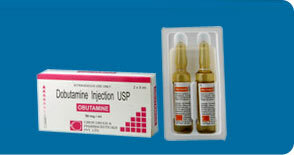 We manufacture dobutamine injection, dextrose injection, ciropred injection, cirovir injection etc. Cirovir Acyclovir Sodium for Injection Anascan Plus Injection Bupivacaine Injection B.P. Artemether 80 mg Fractionated Coconut Oil Q.S. Atropine Sulphate I.P. 0.6 mg.
Atropine Sulphate B.P. 1 mg.
Eq.To. Anhydrous Bupivacaine HCl 5 mg.
Chlorpromazine HCl B.P. 25 Mg.
Fluphenazine decanoate B.P. 25 mg.
Heparin Sodium B.P. 1000 I.U. 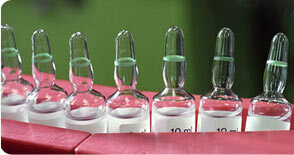 Heparin Sodium B.P. 5000 I.U. Hyoscine butylbromide B.P. 10 Mg.
Hyoscine butylbromide B.P. 20 Mg. Methyl ergonovine maleate USP. 0.2 mg.
Eq To. Anhydrous Metoclopramide HCl 5 mg.
Metoprolol Tartrate B.P. 1 mg.